Vexillology (the study of flags) is a comparatively recent addition to the field of knowledge as a separate and distinct discipline. The word is derived from the Latin Vexillum (flag) and the Greek -ology (the study of). Vexillology was first established in an organised form on 1st February 1962, when Dr. Whitney Smith founded the Flag Research Centre in Boston, USA. Since then, flag associations have been established in a steadily growing number of nations. 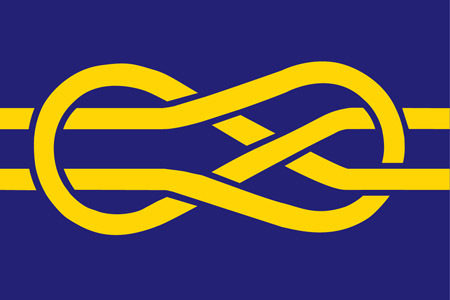 In 1969, the International Federation of Vexillological Associations was founded as an association of flag groups. It is usually referred to by its French initials: FIAV - Fédération Internationale des Associations Vexillologiques. 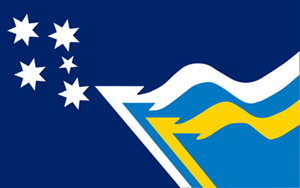 There were initially 12 members, and there are now 59 member entities, including Flags Australia. 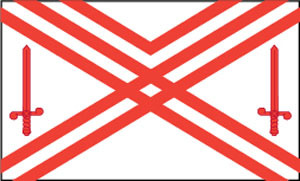 FIAV organises an International Congress of Vexillology every two years. The 1st ICV was held in the Netherlands in 1965. ICV25 was held in Rotterdam on 5-9 August 2013, being jointly hosted by the Netherlands Vexillological Association, the Netherlands Flag Museum and the Rotterdam Flag Parade Foundation. ICV26 was hosted by Flags Australia in Sydney on 31 August - 4 September 2015. A copy of the original website with full details of the event is located at Sydney Flag Congress. ICVs are an opportunity for the world's flag experts to meet and socialise and share their interest over a week-long period. The most recent flag congress was ICV27, hosted by the Flag Institute in London on 7 - 11 August 2017. The Congress venue was Imperial College in Kensington. A tour of Maritime Greenwich on the Wednesday incuded a visit to the Old Royal Naval College and the Royal Observatory. The companion program consisted of visits to tourist sites in the Royal Kensington and Chelsea area, including Royal Albert Hall and Kensington Palace. 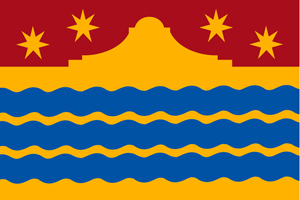 The next flag congress (ICV28) will be held in San Antonio, Texas on 15-19 July 2019 and hosted by the Vexillological Association of the State of Texas (VAST) and The Flag Research Center. The event will also be the NAVA53 annual meeting. The ICV is called HemisFlag and marks the 50th anniversary of FIAV. The meeting will be held at the St. Anthony Hotel. As part of the ICV, there will be a visit to the Whitney Smith Flag Research Collection at the Dolph Briscoe Center for American History at the University of Texas at Austin. Registration for the ICV has now started (US$395 early bird by April 15) and a discounted room rate is available for the venue hotel at US$179 per night. A call for papers has been issued. The website is http://texflags.org/hemisflag.htm, with links for registration and accomodation. 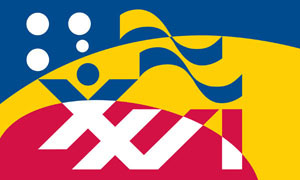 Flags Australia has, since 1989, sponsored the Vexillon, which is awarded by FIAV to the person regarded as having made the most important contribution to vexillology during the two years between flag congresses. In 2015 the Vexillon was awarded to Fred Brownell, the designer of the South African national flag for his thesis. In 2017 the Vexillon was awarded to Pierre-Jean Guionin from SHOM, France, for his work on the Album des Pavillons. Ralph Bartlett (2003), Tony Burton (2015), Ted Kaye (2015), Ralph Kelly (2007), Gerald Naughton (2015) and Ron Strachan (2015). In addition, Ralph Kelly's lecture at the 21st ICV in Buenos Aires on flag changes in Latin American flags, was recognised as Best Paper of that Congress.